Sunnyvale is one of the most well-known towns in the United States. Many global MNCs like Apple, Yahoo, Juniper Networks, Lockheed Corporation and others have their headquarters set up in the city. For the benefit of the local IT community, KnowledgeHut would shortly be launching some workshops on CSD certification in Sunnyvale. Join one of these academies and take your career to the next level. The workshops on CSD training in Sunnyvale will run for five days. Each such academy will have two parts. 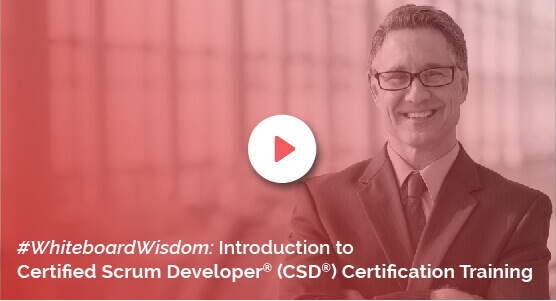 One part of the CSD certification in Sunnyvale will run for a couple of days and teach you the concepts of Scrum, its frameworks, ceremonies of Scrum and the roles and responsibilities of teams. The other part of the Certified Scrum Developer training in Sunnyvale is called the CSD Training Track and will run for three days. In this workshop, you will learn Scrum with the aid of theory, practicals and live demo. All the workshops will be led by certified tutors. The trainees will get free access to the e-learning materials for 100 days once they enrol into any CSD course in Sunnyvale. After completing the workshop successfully, one will be awarded a two-year membership of the Scrum Alliance network as well. The course fee of the Certified Scrum Developer certification in Sunnyvale includes the exam fee as well. This course on CSD is brought to you by KnowledgeHut which is a registered training and education partner of the Scrum Alliance. KnowledgeHut makes for an ideal choice for professionals who want to hone their skills and march ahead with confidence in this competitive industry.